When Gareth Evans introduced The Raid a couple years ago, I was ecstatic, for it had been a long time since I had seen a really good martial arts action flick. When I finally saw that film I was not disappointed, as that movie delivered heavily on the action… and the story wasn’t bad either. 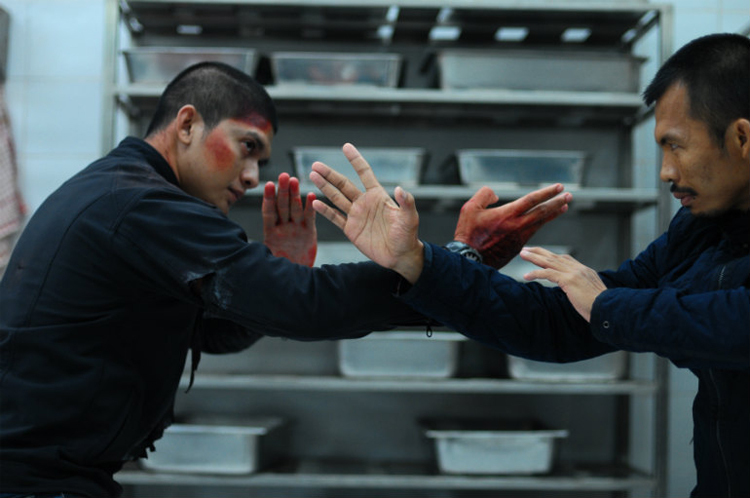 The Raid 2 takes things up several notches by delivering more intense action scenes and a deeper, more complex storyline. 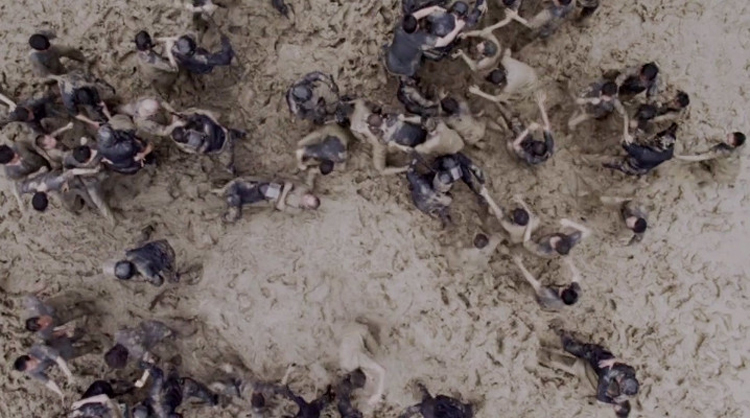 Gareth Evans is truly a man who knows what he’s doing when it comes to showcasing these action flicks. The list of things that happened in this movie left me on the edge of my seat; the action was that good! The story takes place right after the events of The Raid, as Rama (Iko Uwais) gets debriefed on everything that took place inside the building from the first film. He soon learns that even though you may cut off one head, two more will take its place. This time it’s in the form of Bangun (Tio Pakusadewo) and Goto (Ken’ichi Endo); two rival crime families who have been at peace for over a decade. Rama is fueled by his desire to clean up the streets of his city and thus decides to take his policing duties to a whole other level by going undercover to infiltrate Bangun’s crime syndicate. In order to get close to Bangun, Rama has to go to prison and befriend Bangun’s son, Uco (Arifin Putra), who is next in line to his father’s vast empire. Iko Uwais does a fine job with his role this time around, not to say that I thought his performance was horrible in the first film, but his character has been expanded to a much greater degree in this film. I liked seeing his inner turmoil throughout the film as time undercover started to weigh down on him; he had to leave his family behind in order to clean up his city of crooked cops and gangsters and that is something that can with a man’s head. At times the story was a bit harder to follow, as this time around there were so many more characters involved and things got much more intense. We are introduced to a few characters in the beginning and as a war between the two families begins to surface we are introduced to even more; it tends to complicate things a bit when you add so many faces that you can forget who is fighting for whom. Welcomed additions to the cast, however, were a brother and sister duo, one of whom wielded a baseball bat in combat and the other, dual hammers. Can you guess their names? If you guessed Hammer Girl (Julie Estelle) and Baseball Bat Man (Very Tri Yulisman) you are correct! Although their names are… not that original, their on-screen presences more than makes up for it, as I always liked to see them “go to work” whenever they showed up. The action scenes in this movie were in a word… unforgettable! If you enjoyed the first movie, then this one will not leave you disappointed at all. Three scenes were truly standouts in the film; the first being the opening of the film, with Rama locked in a washroom and single-handedly taking out a small army of inmates. The fight choreography and the ensuing mayhem was absolutely amazing. The second was the prison yard fight sequence that reminded me a little bit of a similar scene from Batman Begins with Bruce Wayne… but this was a million times better. And last but not least, the car chase sequence where Rama is doing battle with four thugs while in a moving car. Notable mentions do include the final fight scene with Rama facing off with The Assassin (Cecep Arif Rahman), but it dragged on a little too long. Yes, I am saying right now that I do not believe any movie coming out this year will top the fight scenes from this film. That’s right Expendables 3, you better watch out! The Raid 2 is epic in scope and the action scenes are unreal! The action and fight choreography literally left me on the edge of my seat and I felt drawn in by the hypnotic motion of flying fists and the violent ballet of diving elbows. And while the story was a little difficult to follow with the influx of characters, I promise you will not be disappointed by this flick.